Once again, the time has come to turn our attention to the archipelago of islands in the South Pacific that make up the Republic of the Fiji Islands. 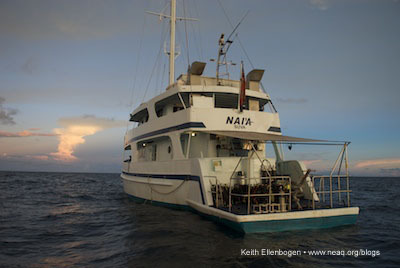 The Joint Aquarium Fiji Expedition is returning to Fiji in a matter of days! 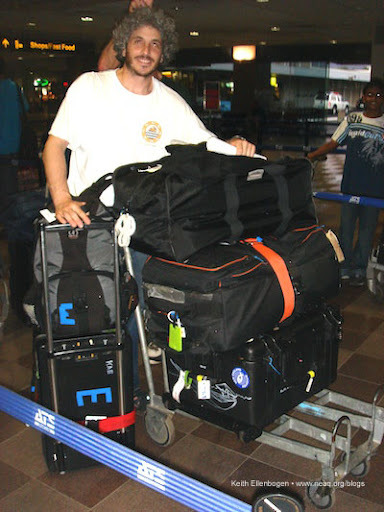 The last expedition took place in February and March of 2009. 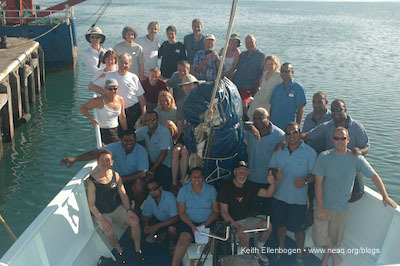 Photo by Keith Ellenbogen during a previous expedition to Fiji. 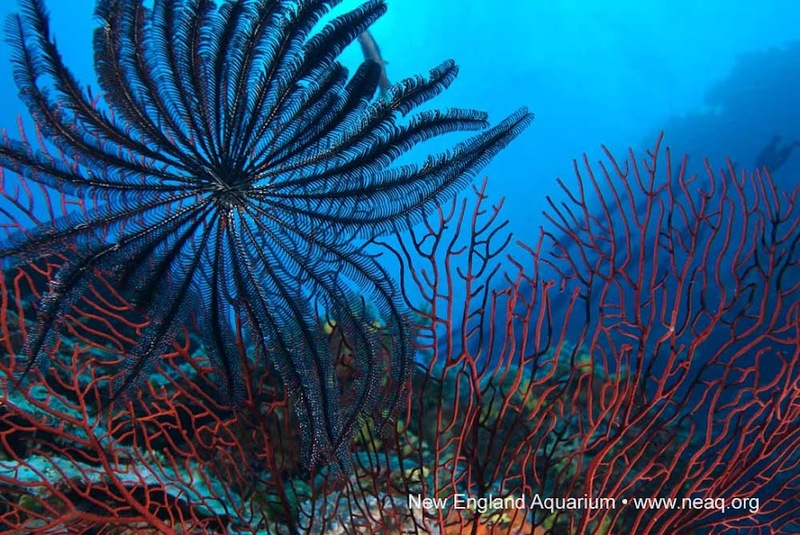 The Joint Aquarium Fiji Expeditions have, over the years, assembled some of the most field tested and experienced critter minds from the New England Aquarium, Monterey Bay Aquarium and a coalition of other research and conservation organizations. Expedition members build working relationships with the people of Fiji and explore the complex biodiversity of the area. 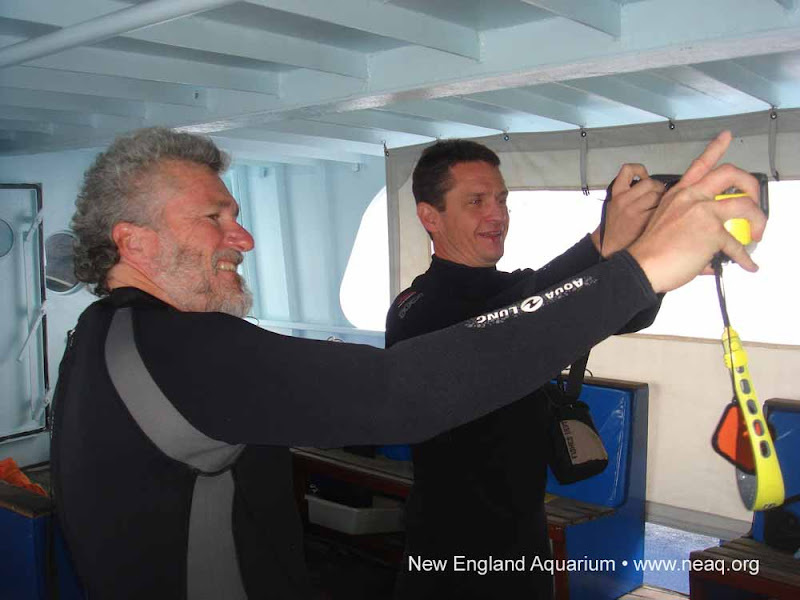 The New England Aquarium's Curator of Fishes, Steve Bailey (Bailey), is a point person for this expedition, which has included many participants in the past: Conservation International's Senior Vice President and Chief Scientist Greg Stone, Senior Marine Biologist Steve Webster of the Monterey Bay Aquarium, New England Aquarium Board Members and long-time supporters Alan Dynner and Sandy Prescott, and Gerry Allen, a revered coral reef fishes taxonomist at Conservation International and the Western Australian Museum. Dr. Tim Burke and Bailey taking photos during the 2008 expedition. This year Dr. Steve Webster is back on the expedition (read his post from the 2009 expedition here), as is diver, photographer, and Phoenix Island explorer and supporter, Bruce Thayer (see his amazing photos from a Makogai village visit here). New members of the expedition include Dr. Les Kaufman of Boston University. He's the Principal Investigator for Conservation International's Marine Management Area Science program (readers can check Dr. Kaufman's posts from the Phoenix Islands here). Also joining the expedition is Dr. Stacy Jupiter from the Wildlife Conservation Society. You'll be introduced to both of their work and some additional expedition members as the blog gets going. This year we hope to continue to strengthen our connection with the people of Fiji and collect data on the health of Fijian reef systems. 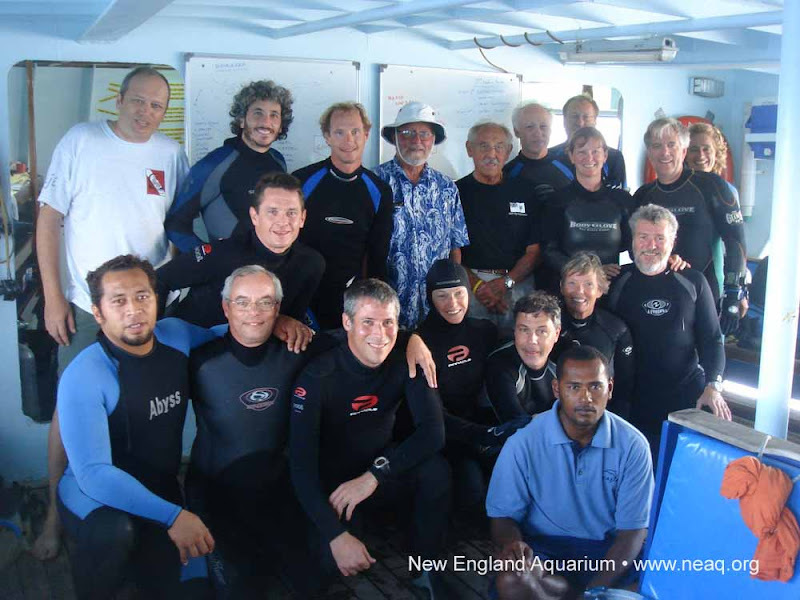 We'll be visiting the Namena Marine Reserve again (more about that location in Ellen Garvey's post from 2009). In addition, we hope to learn more about the status of the clam farm run by the people of Makogai. Word from Dr. Jupiter indicates that the only tridacna clam farm in Fiji is back up and running. We're preparing to leave now, and look forward to sharing reports from the field with you as soon as we arrive on board NAI'A. This expedition blog is being cross posted on Conservation International's website. Ooooo. I want to go to there! This looks wonderful. Can't wait to hear all the details. Can't wait for the first reports from the field! Cool crew! Will you be seeing whales too? Truly a great expedition on deeper study on marine life! Hoping for the best on their goal..